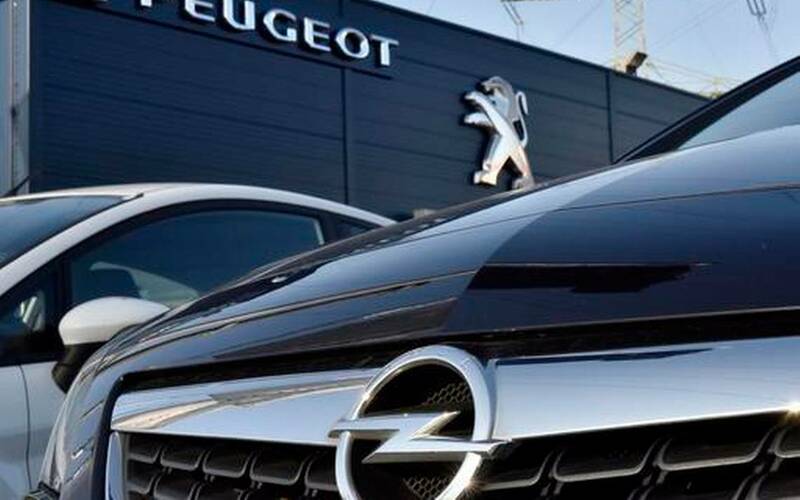 Less than 2 weeks ago it was announced that the French group PSA, owners of popular car firms Peugeot and Citroën, were in talks with America’s General Motors over the sale of its loss-making European business Opel (whose U.K. arm is branded as Vauxhall). In this post, the focus will not be on the potential issue regarding the protection of workers after a takeover, something which has been dominant in the British press, but rather on the potential systemic effects that may result from the further acceleration of PSA’s growth. Whilst the issue regarding the safeguarding of employees' positions and, crucially, their pensions is of the utmost importance, the recent news is that the jobs and the pension fund (albeit currently operating at a deficit of £840 million) will be safeguarded until 2021, which in the current turbulent climate is relatively secure unfortunately. So, for this post, the focus will be on a potential issue that is currently developing, and will arguably be amplified, if PSA increase their market share to become Europe’s second-largest car maker. The issue referred to above is that of the increase in auto-backed securitisation. Using the same process which saw millions of residential mortgages packaged together and sold to investors before the Financial Crisis, the financial arena is now witnessing the relative explosion of automobile-backed securitisation. Unfortunately however, in the same manner as the subprime crisis, loans taken out on cars are increasing whilst delinquencies on those loans are increasing also. In the U.S. alone in 2016, the year ended with just under $1.2 trillion left outstanding of auto-debt, which sits alongside a record rate of delinquency, measured at $23.27 billion. Now, there is a point to be made here off the back of these numbers. It is clear that the level of failures on these loans pales in comparison to the total size of the market, and one onlooker suggests that any fears of a financial crisis stemming from this arena are not to be considered because, simply, the financial institutions (banks) that were at the centre of the Residential Mortgage-backed Securities (RMBS)-induced crisis this time have much more capital to protect against losses. This point, that the environment has changed with regards to bank capitalisation and that the size of the losses cannot cause a systemic crash is a reasoned one, but it misses larger points. Firstly, let us think about the environment which the commentator suggests is not fertile for a crash. Currently, the U.S. Government is looking at ways in which it can alter the regulatory landscape because, as Gary Cohn, the Director of the White House National Economic Council recently mentioned, American banks are the most ‘highly regulated and overburdened banks’ there are. This, in conjunction with a change in the culture towards Wall Street, as discussed in a previous post, is yet another indication that the levels of capitalisation required at large banking institutions is set to be reduced, rather than increased. Secondly, the increase in car finance availability is seeing the return of predatory practices which accompanied the rise in mortgage availability, with the U.S. Department of Justice currently investigating the industry for fraud. So, there are cultural changes to the environment currently taking place in the U.S., and now, in Europe, the same thing is happening, with PSA’s purchasing of Opel/Vauxhall only adding to that transformation. It was reported last year that the European Banking Authority is pushing for the lowering of capital charges for the securitisation industry in Europe, because it is believed in Brussels that securitisation is an ‘important means of encouraging capital markets-driven growth across the European economy’. This belief would have been solidified and made all the more important after the U.K.’s decision to leave the economic bloc, with E.U. leaders currently working together to increase prosperity in advance of the U.K’s exit. In advance of this increased belief in the wonders of securitisation, the PSA group had already accelerated their use of the financial tool via subsidiaries across Europe, which suggests that the combination of an increased fervour for securitised products will go hand-in-hand with PSA’s purchase of Opel/Vauxhall, which although represents the purchase of a company which has reported losses for over a decade still sells over 1 million new cars a year – the option to securitise heavily therefore comes with the prospective purchase. Ultimately, the view that auto loans will not cause the next financial crisis is potentially accurate, but that view discounts the issue of sentiment, culture, and momentum. The Western degeneration of financial supervisory standards which is, potentially, just around the corner with the U.K.’s exit from the E.U. represents a fertile ground for relative success in the securitisation field. In the U.S., President Trump is reportedly developing his personally-induced ‘bull-market’, which is in direct response to his calls to help big business and cut regulation. The two sets of development play into a larger narrative of having progressed away from the Financial Crisis and its ills, preferably towards an era whereby the system has been insulated from the effects of the next bubble bursting. This narrative, when combined with any success in the financial realm i.e. auto securitisation, will result in the narrative perpetually developing itself until the obvious takes place and a bubble is created. The issue for this post, however, is that the time between the Financial Crisis and the development of this current bubble is far too short – the reduction of standards that were developed to protect us from a crash only ten years ago is a worrying development, and furthermore, there seems to be an increase in the amnesia that is a crucial ingredient in any financial disaster. So whilst it is correct to just focus on the effects of one small element and make judgement, it is incorrect to stop there – despite the nationalistic rhetoric currently dominating the West, there can be no doubt that this world is a connected world, and we must think larger if we are to foresee and protect against future devastations.